Brave little roses and so lovely!! Beautiful capture, Merisi, as always! Have a wonderful weekend!! There are difficult things in life, that's one. Rather melancholy memories of last summer's roses (those lovely rose hips) and promise of future glory when the sunshine and warmth return. 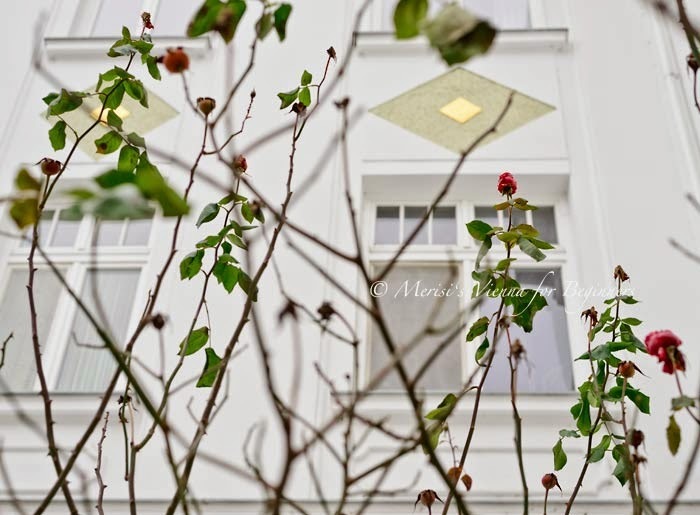 Merisi, those midwinter roses do make an evocative veil though which to see more classic Viennese architecture. I also see some lingering rose stems around New York, and let them remind me of much warmer months and the frangrance of the blooms. They will soon be fully blooming...love your shot, beautiful..